Cost-Effective DIRECT MAIL : OAKLAND EAST BAY AREA, California. (1-888-4-A-COUPON (1-888-422-6876) 1) Direct mail plus 2) Internet Coupons – What a Team! Rated Top 2 Ad Media by Ad-ology. 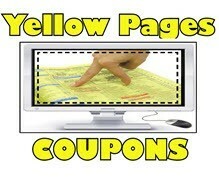 http://www.couponcountry.com Reserve Space Now for New COUPONIC STIMULUS PACKAGE: Less than 4c per home gets you: 1) CC Direct Mailing to 20,000 addresses (includes everything including postage), 2) FREE Mini-Website plus Coupon at http://https://www.yellowpagescoupons.net (Bay Area’s largest, most popular new high-traffic coupon and discount site – NOW over 200 Coupons and articles, OPTOIZED FOR HIGH PLACEMENT ON SEARCH ENGINES… ASK ABOUT FREE DEMO) , 3) FREE LOGO on front cover of coupon book mailers for added billboard-effect exposure , 4) Website, Web Name and Link which you can now use in marketeing — give out to prospective customers. (For those of you who don’t have a website, you will have one now. We will provide you with a website name/link. 5) Immediate RESULTS! – We will lget your website up same day you sign up and give you a FREE Demo to show your high placement on search engines that same day!! !